Dental Care with Healthier Gums: The Tartar Scraper / Tartar Remover, removes hard tartar easily from the teeth preventing gum disease. Brighter Teeth: By removing hard tartar and light stains from your teeth they become visibly brighter & healthier. Our company has created this Dentist-Approved Tool Kit with you in mind. 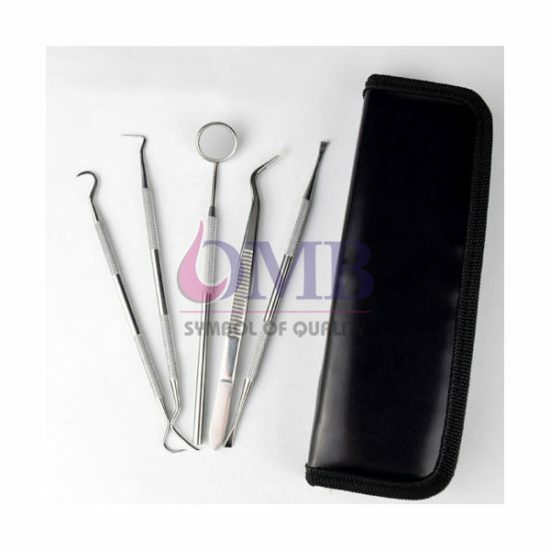 Easy to use & Pet-Friendly these dental instruments are a low-cost solution in comparison to the dentist, it comes with a stylish protective case, ideal to keep it handy in the bathroom or to take with you when you travel. Backed by our unique 365 Days Warranty you really have nothing to lose, if for any reason you don’t love the results of these dental tools simply contact us and we will take good care of you. Package (L x W x H) 9.1 x 3.7 x 0.5 in.